Put 1 cup of cake mix and 1 cup of Confectioners sugar in a microwaveble safe bowl. Mix. Add butter and milk. Do not mix. Put in microwave for 2 minutes. Take out and stir. Mix in sprinkles. 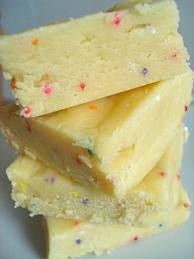 Mixture will look like cake batter. Pour into greased pan. 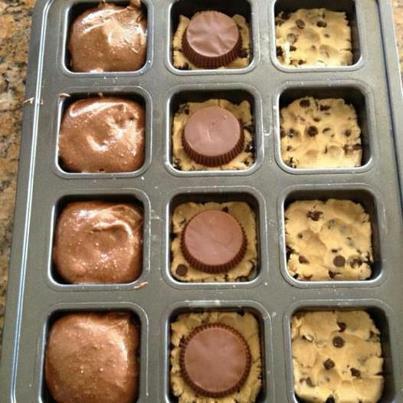 Refridgerate for1 hour, then cut into squares. You can use other cakes for the yellow. This works well with Chocolate cake and chocolate sprinkles. It tastes great but it is not as colorful.